April 01, 2011 by Alphageek in "alphageek", "discovery", "limes"
In an earlier post, I mentioned we went to Global Foods in Woodbridge, VA. While there, we purchased something that I have never seen before, a sweet lime. You can see the sweet lime below. The sweet lime is on the right, and a "regular" lime is on the right. 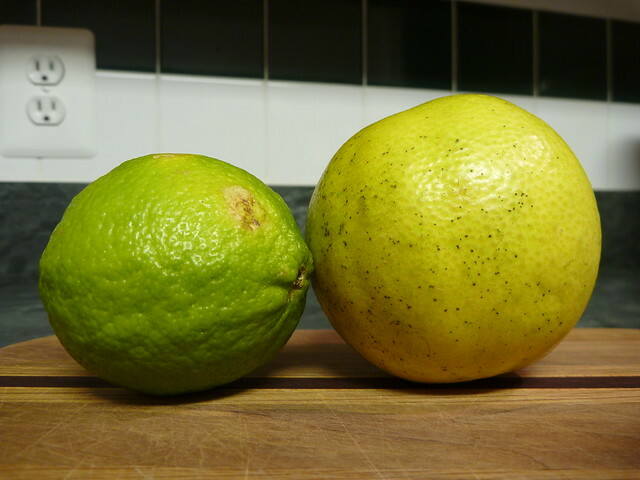 The sweet lime is quite a bit bigger, and it is more yellow than a grocery store lime. I picked it up because the store was in the process of restocking while I was standing there, so I thought that would ensure they were more or less fresh. 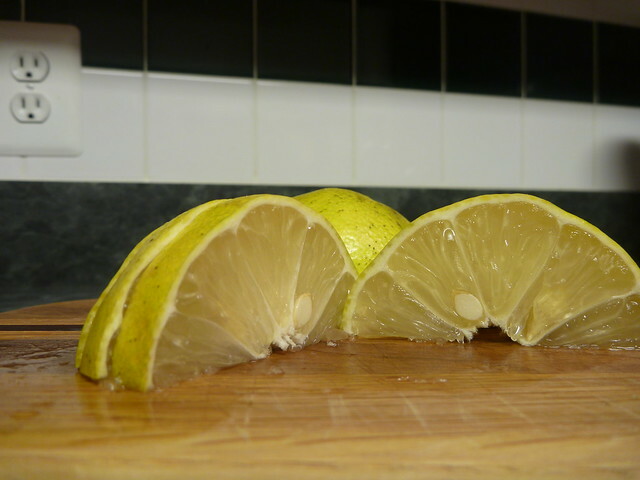 We then cut the sweet lime open. The first thing I noticed was that it was very juicy. The second thing I noticed is that the sweet lime has a strong citrus aroma. I took a taste and was surprised that it tasted mild. It tasted so mild that I could hardly taste the citrus in it. I sampled some in various foods and drinks, and I could hardly taste it. I could not recommend you go out of your way to try this fruit. Perhaps mine was old, or not yet ripe, or some other such problem, but I won't be buying these again, unless someone wants to set me right.